What's poppin'? Poppy's popcorn is! 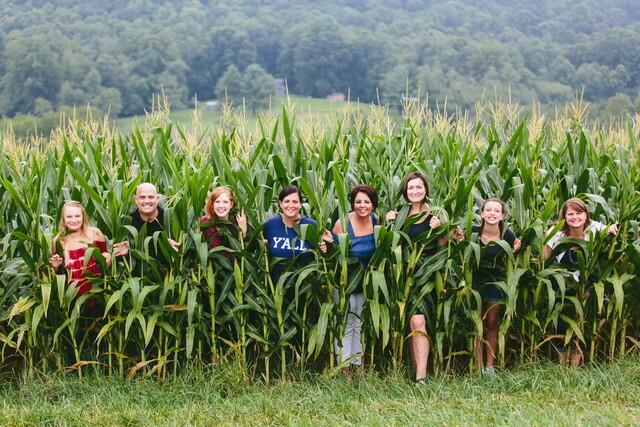 This female-owned company's funky flavors have caused a buzz in the streets of Asheville and beyond. 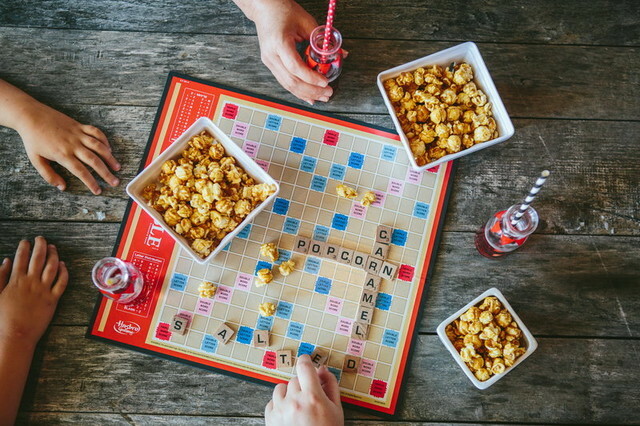 After years of making popcorn for after-school snacks and movie nights, a friend suggested to Ginger, “You should open a popcorn shop!” And it dawned on her: he was totally right! It took countless hours of research and many batches of not-so-great popcorn, but she started to figure out what worked - and what didn't. (Asheville, North Carolina may be “beer city,” but it turns out that beer-flavored popcorn isn’t the best idea.) From classic olive oil & rosemary to spicy jalapeno cheddar and sweet favorites like dark chocolate pretzel, Ginger and her team never get tired of creating and perfecting their flavors. 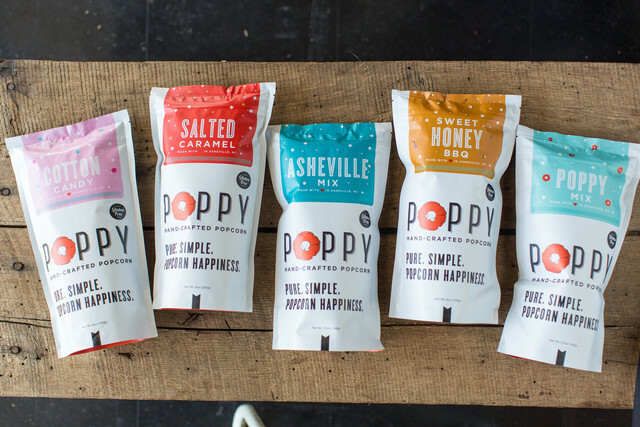 In her own words, "Poppy is the kind of snack we always wanted to eat, but it just didn’t exist yet. Simple, natural ingredients, classic and surprising flavors, and that sweet, handcrafted touch are packed into every delicious handful." Honestly, our salted caramel. It's simple and everyone loves it. When I first opened, I thought, "everyone does caramel so I don't know if I should do it too - isn't it yesterday's news?" But, it's our biggest selling flavor from the moment we opened. It's our own original recipe, made with real butter, real ingredients and a tremendous amount of love and I guess... people can tell. Because people LOVE it! I really eat a ridiculous amount of popcorn and I truly love it all. When I have the time to make a simple coconut oil & sea salt popcorn (which we don't even sell at the shop) - I can't keep my hands out of it. 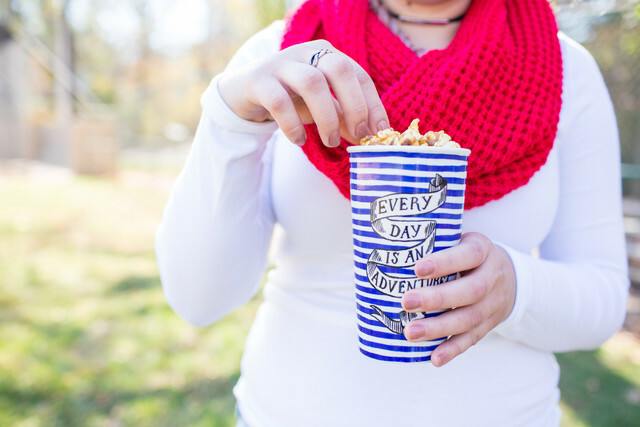 ​And to tell the whole truth, I LOVE the movies and I LOVE having popcorn at the movies. That artificially flavored butter popcorn at the movies, I still can't resist it!